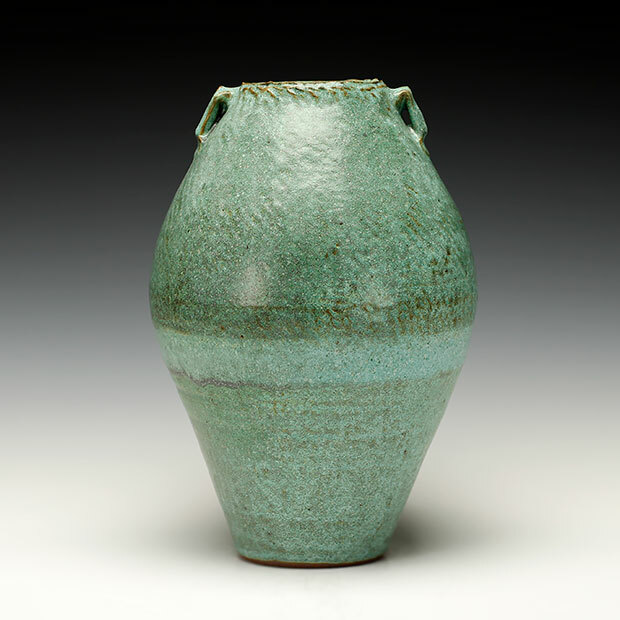 I have been stashing pots for the past three months for this exhibition. 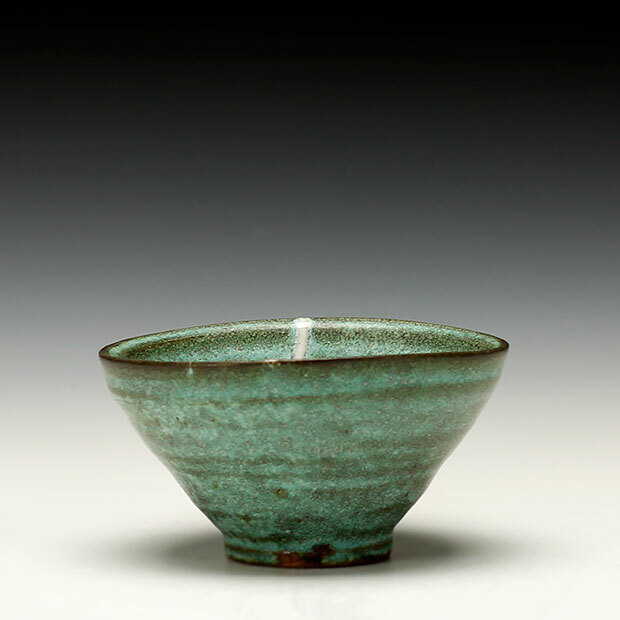 All of which have been made on a treadle wheel with a high iron clay body. 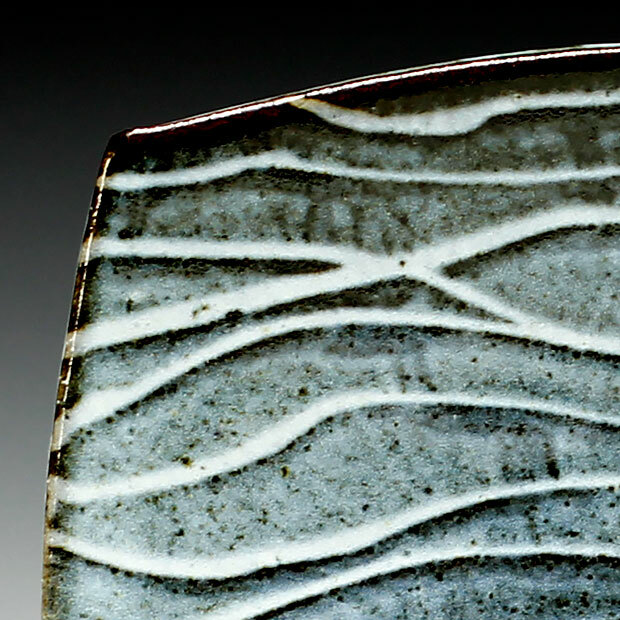 I’m interested in the layering of the surface with hopes to create some visual depth. 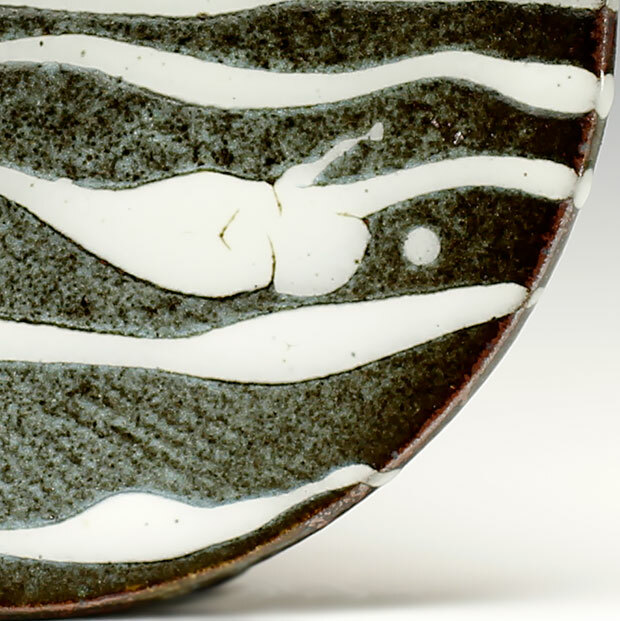 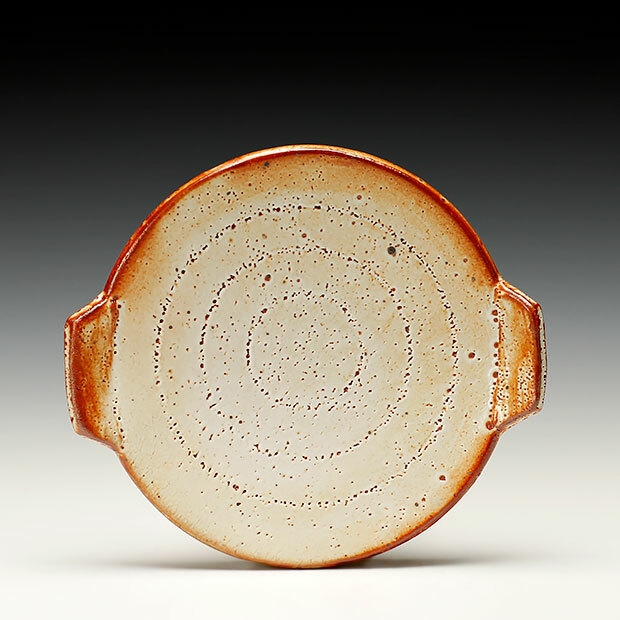 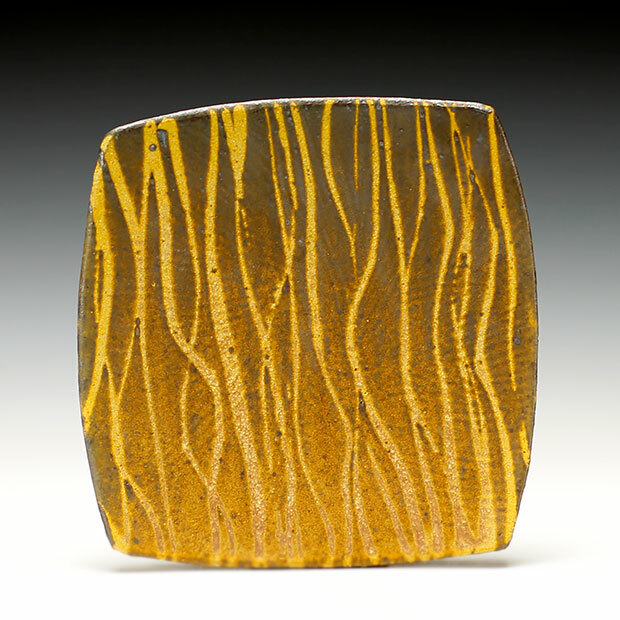 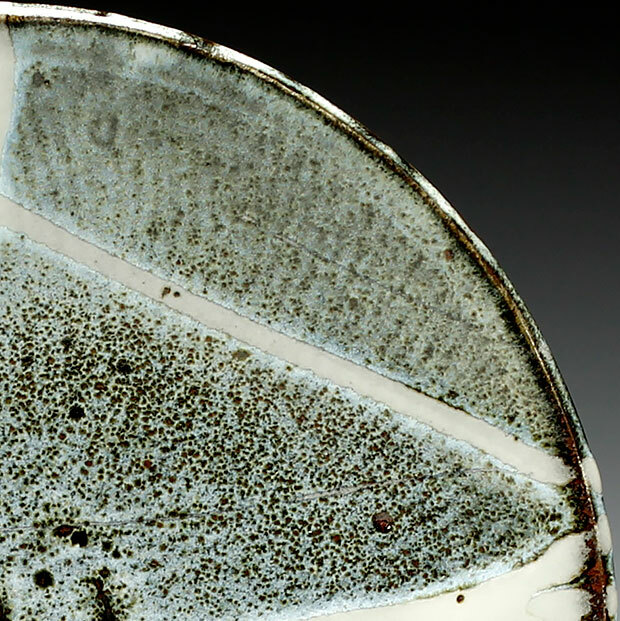 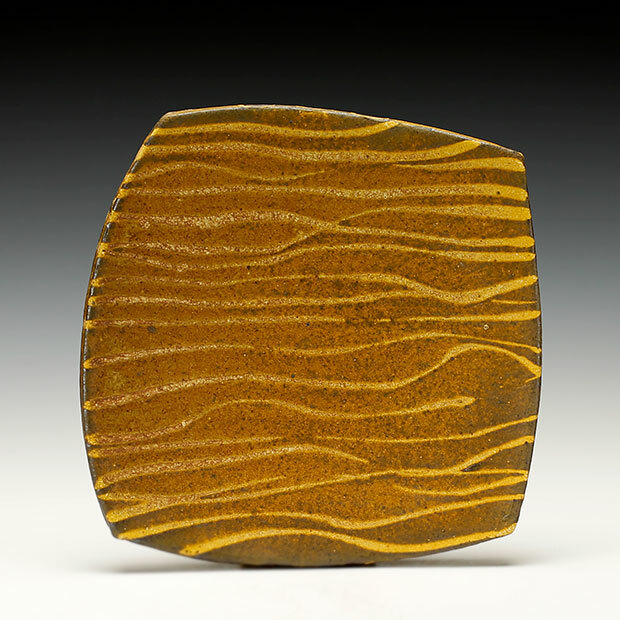 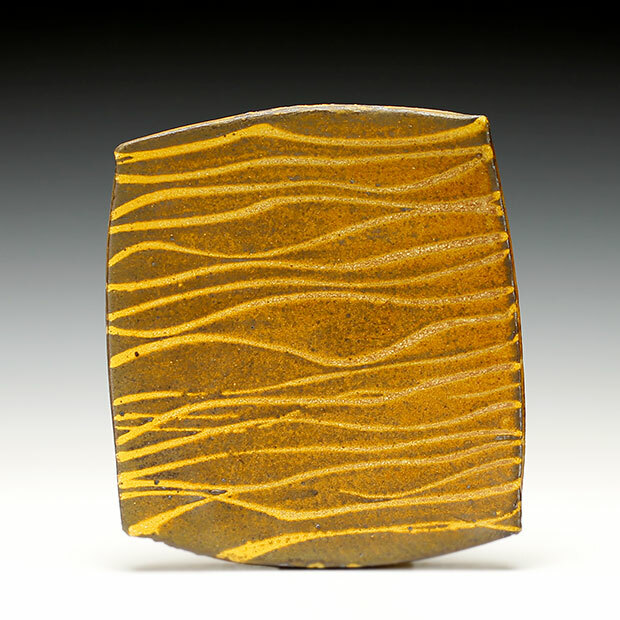 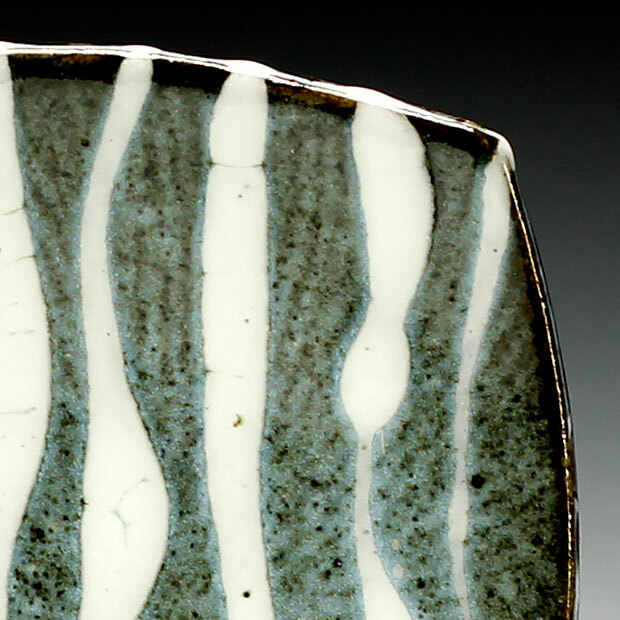 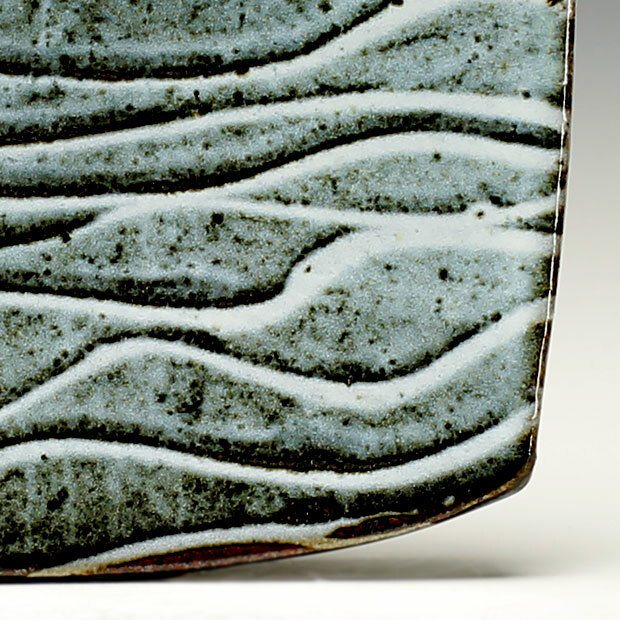 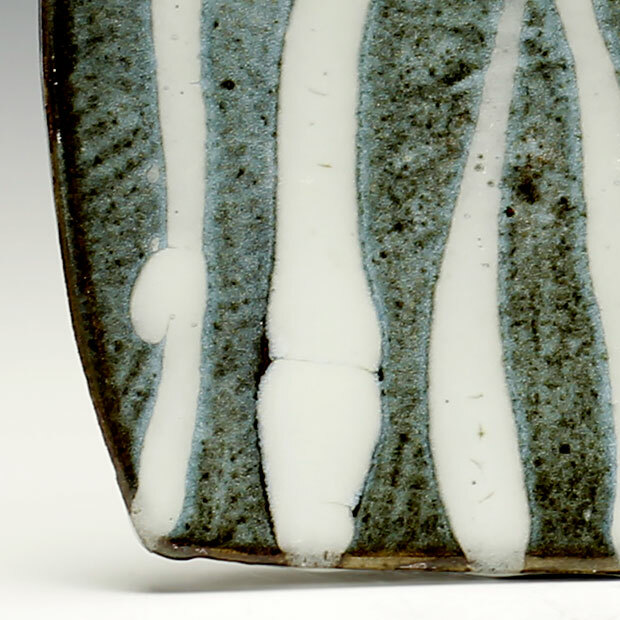 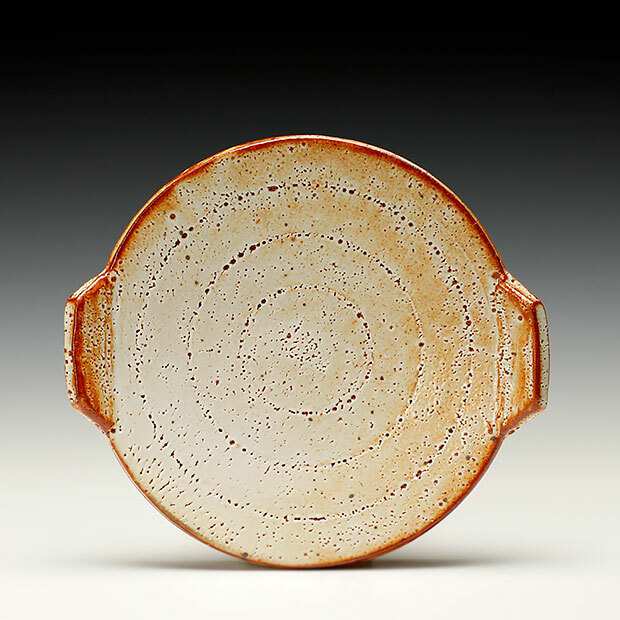 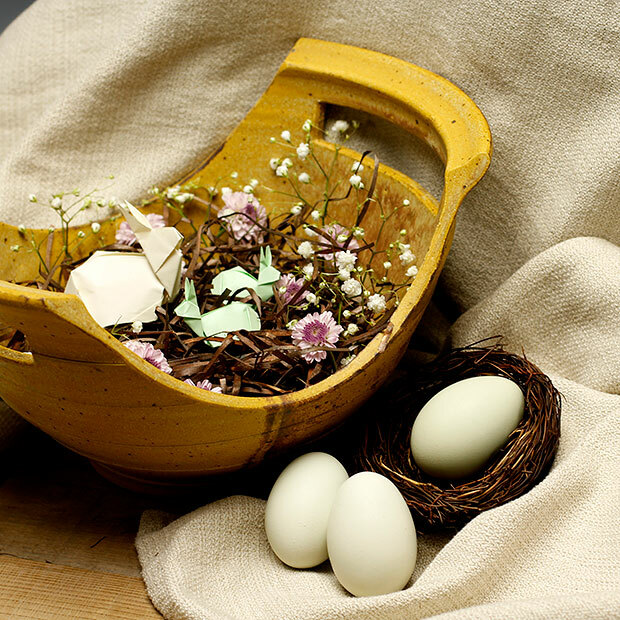 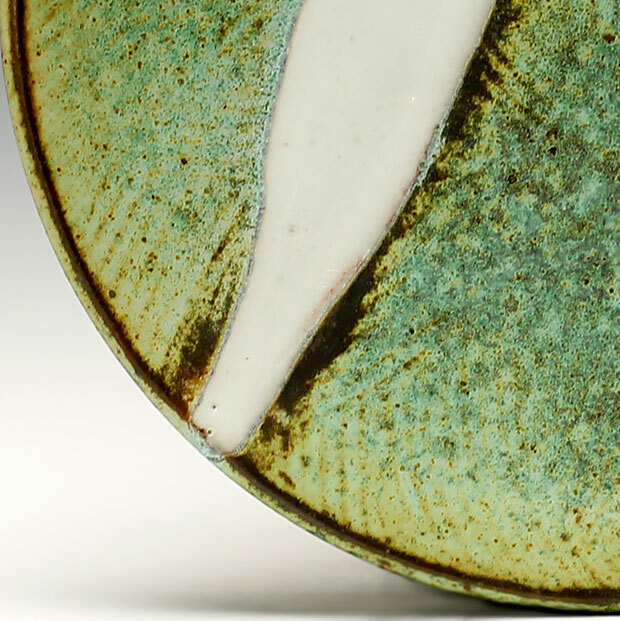 A few ways I approach this is through texture imprinted on soft clay or by brushing wax resist designs on bisque ware and then dipping the piece into a thin iron slip, or by ladle pouring a thick glaze over a contrasting glaze. 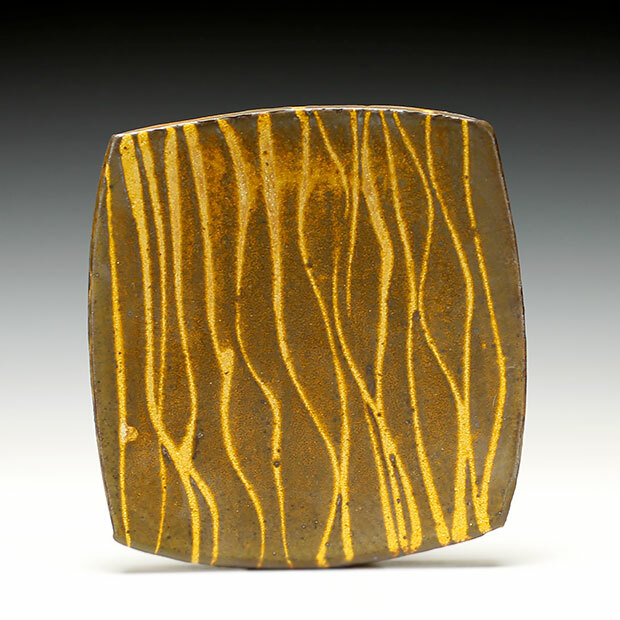 I am often asked what my favorite form to make is and I don’t really have an answer; each day could bring something different. 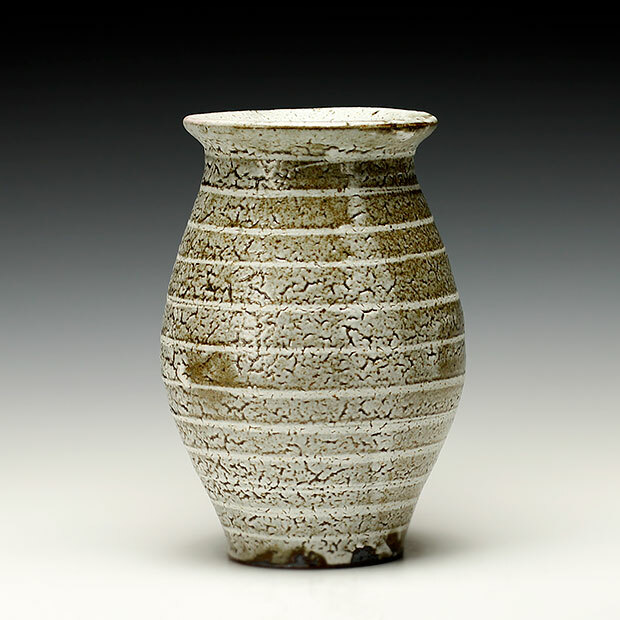 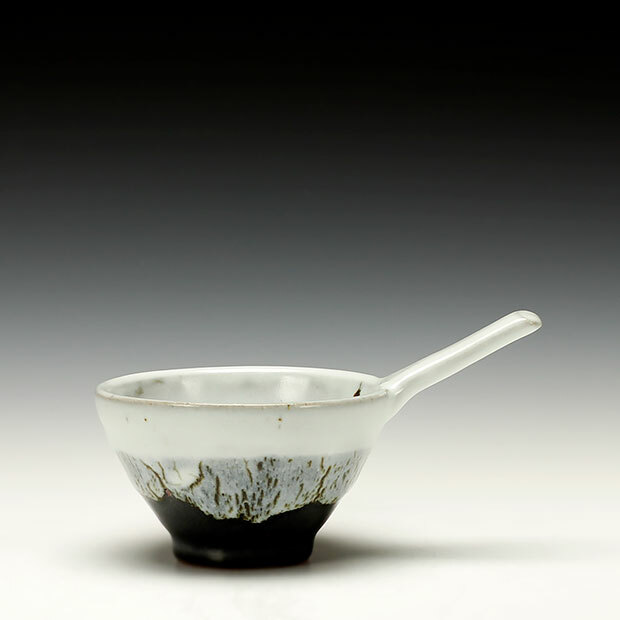 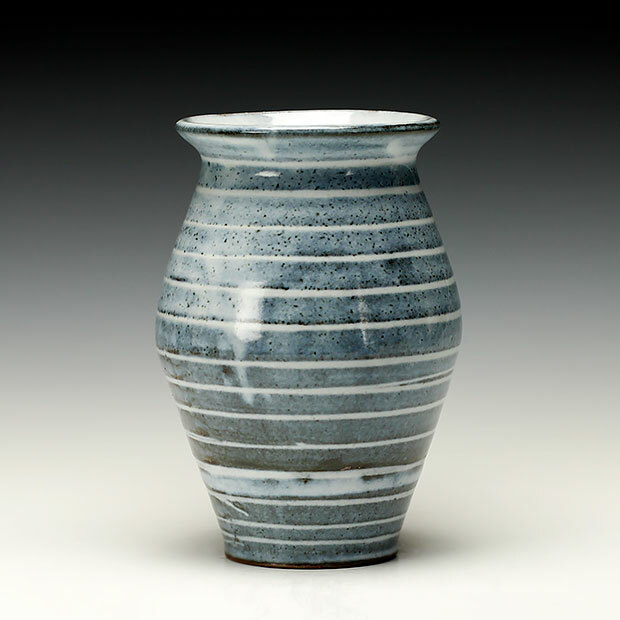 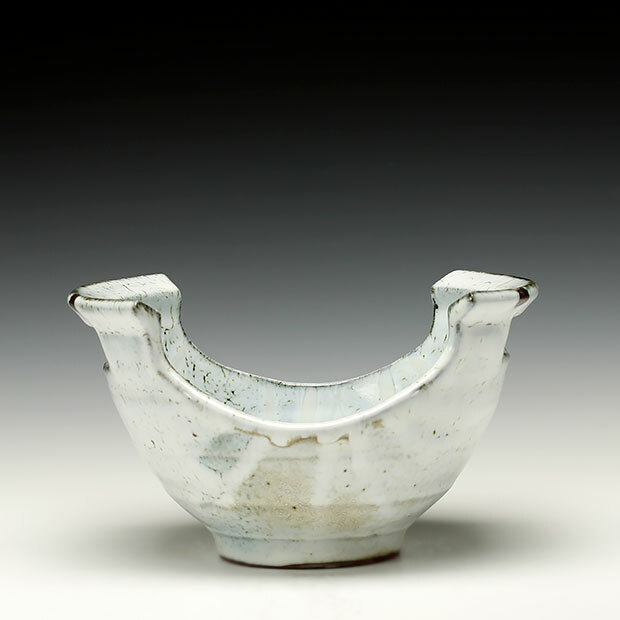 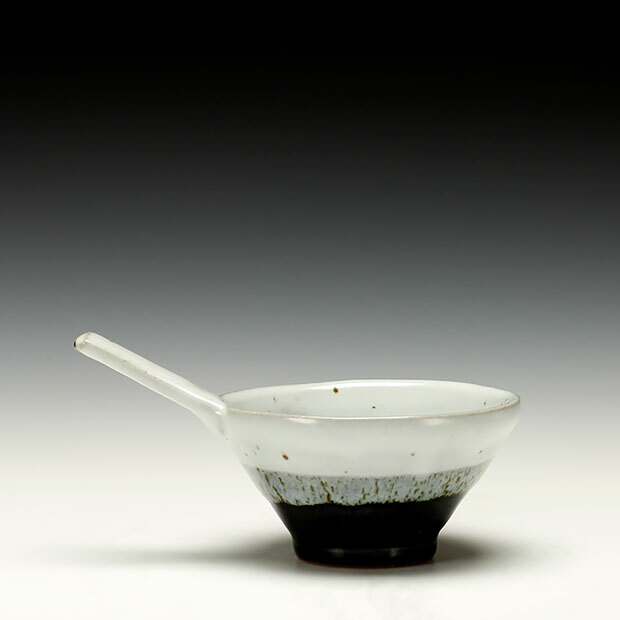 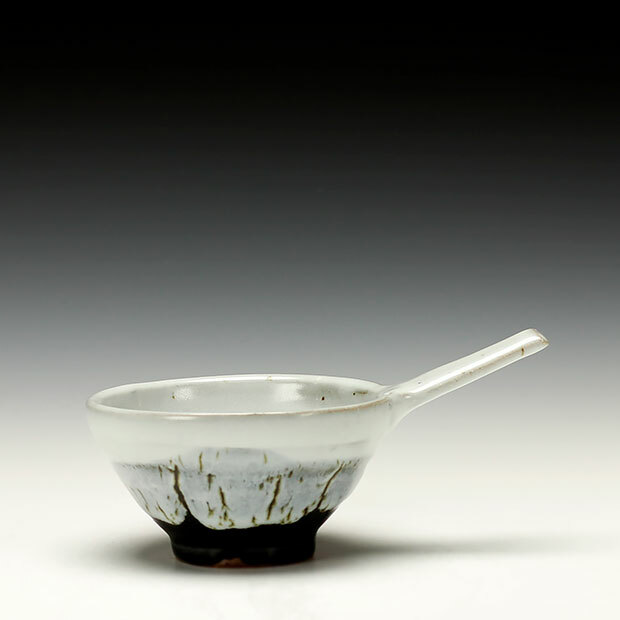 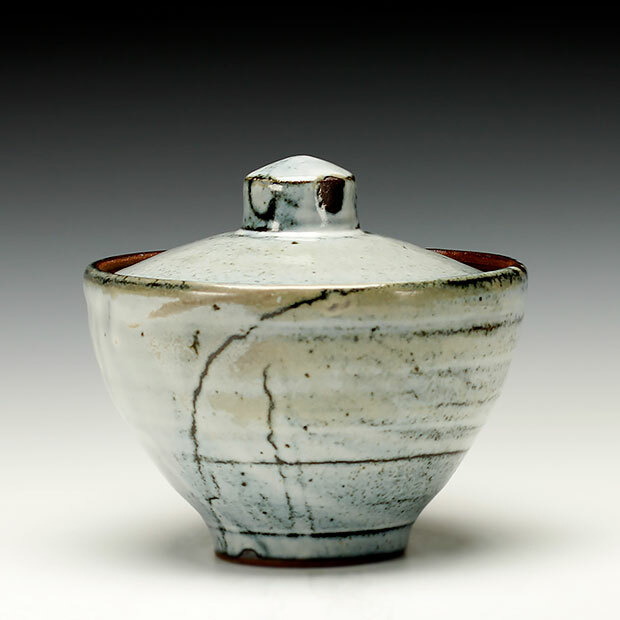 The pots included in this exhibition are forms I love making and glazing. 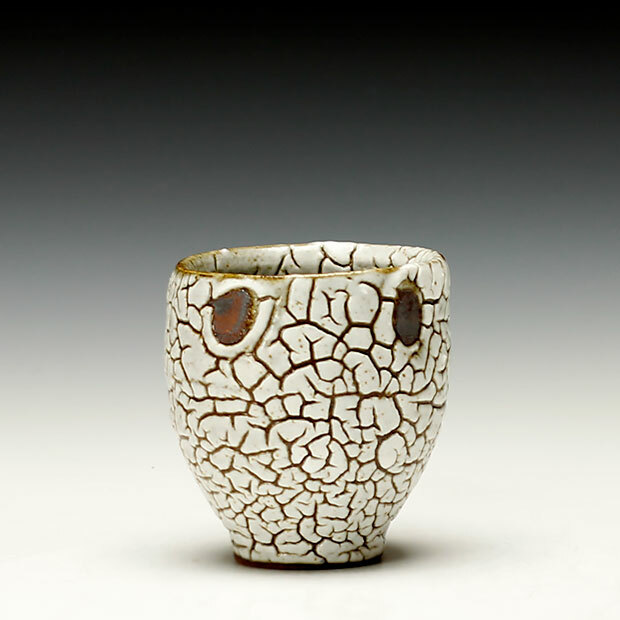 All are fired to stoneware temperatures in a gas kiln. 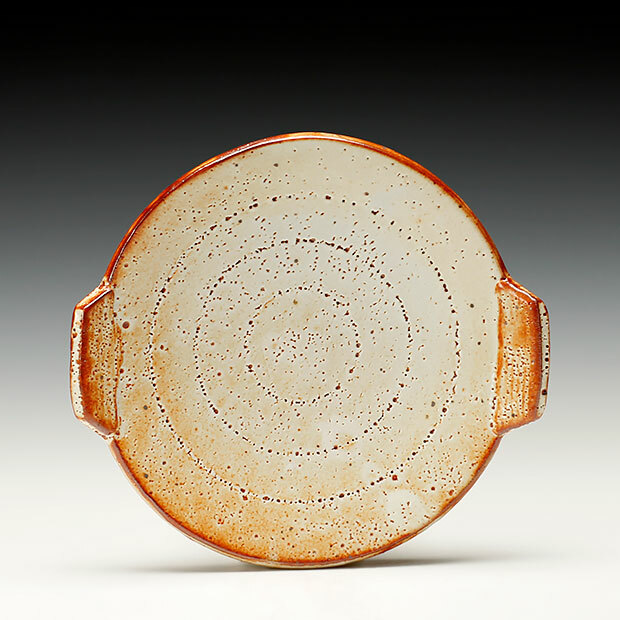 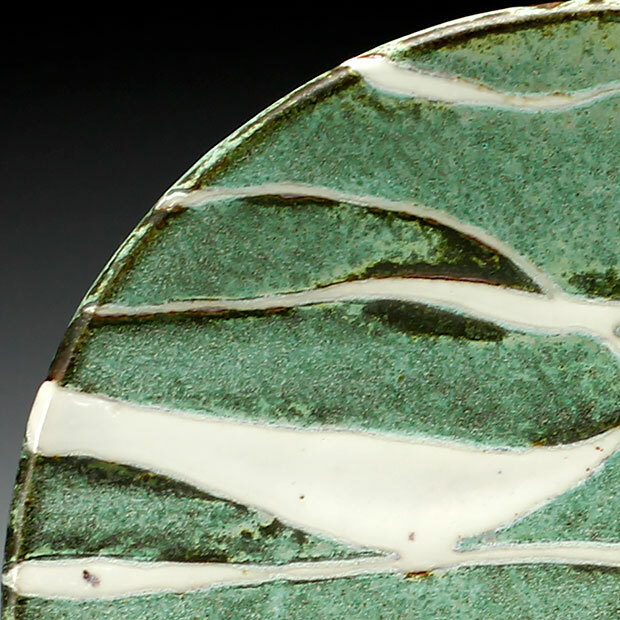 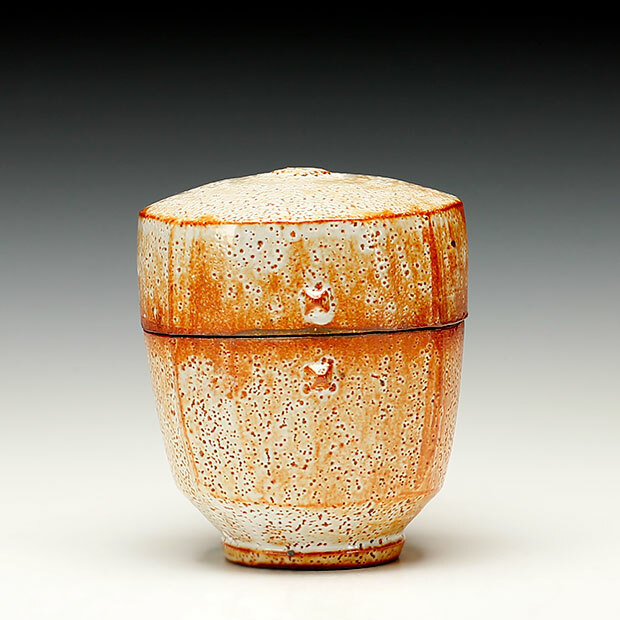 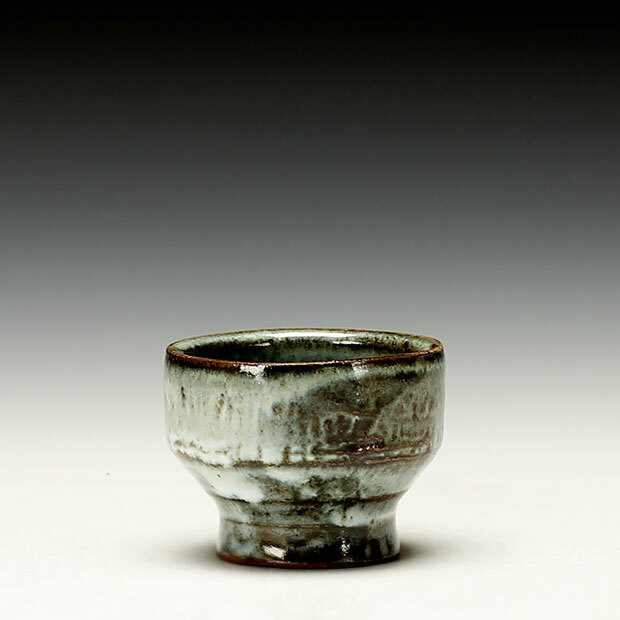 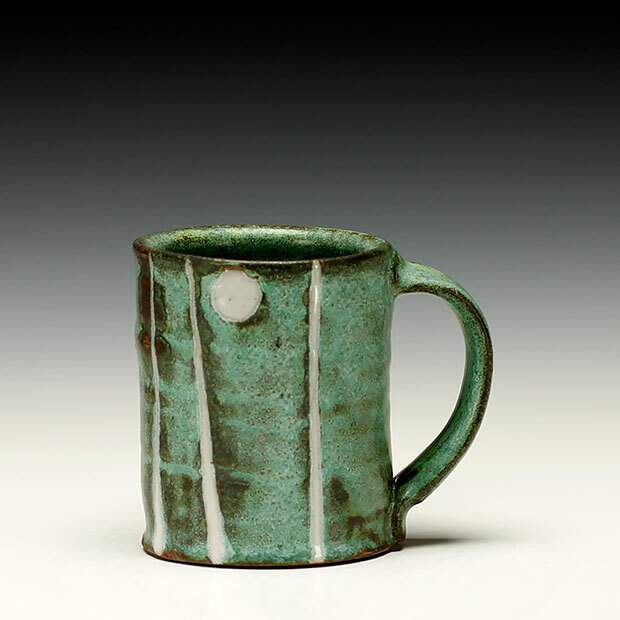 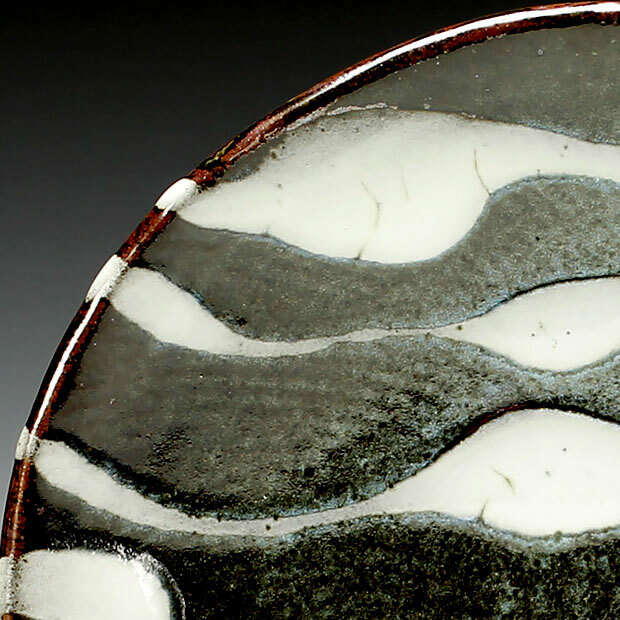 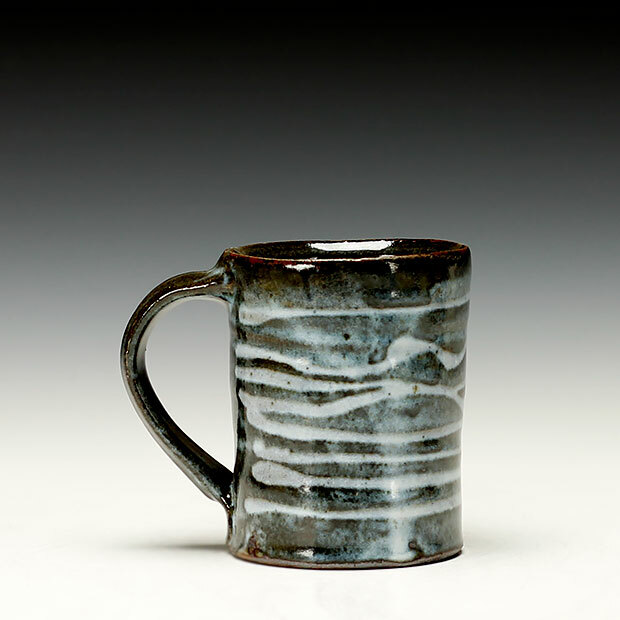 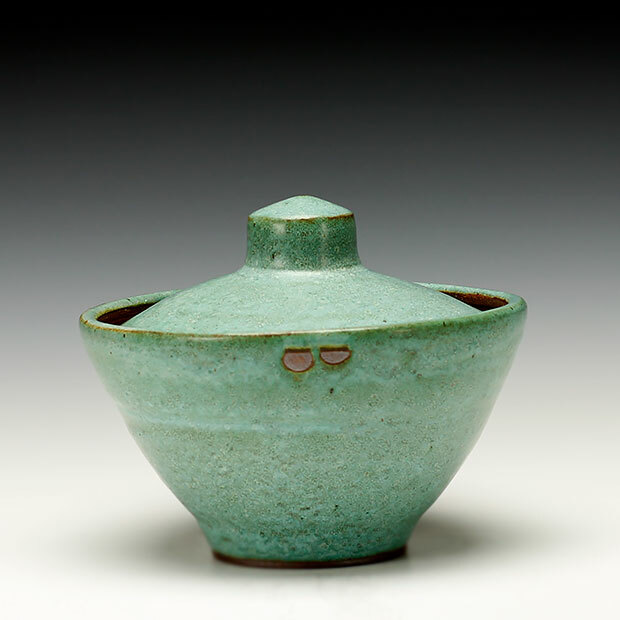 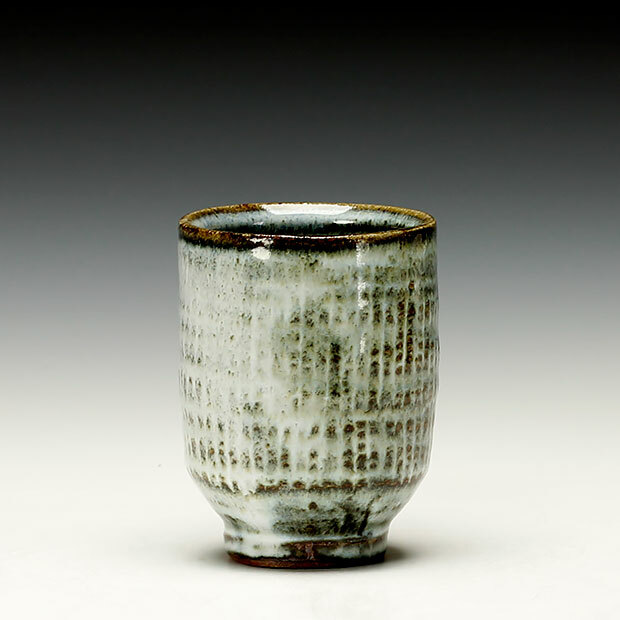 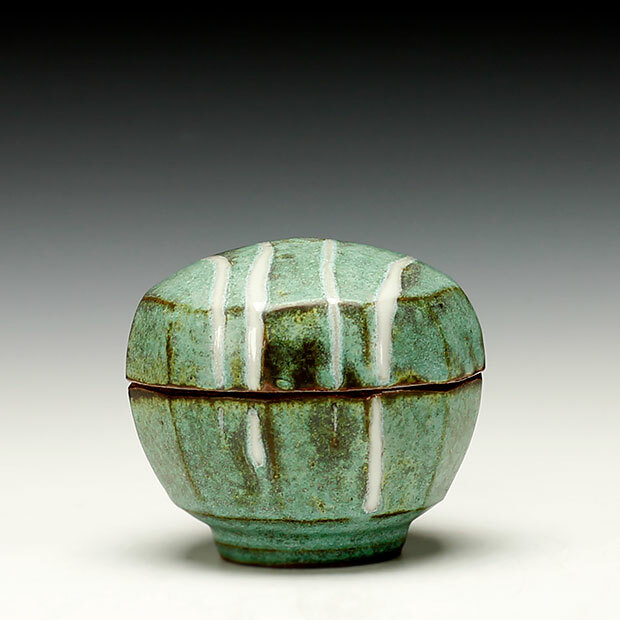 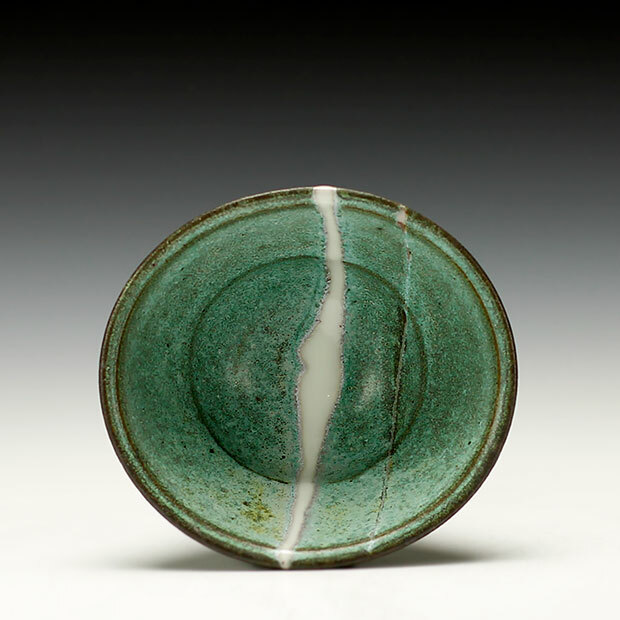 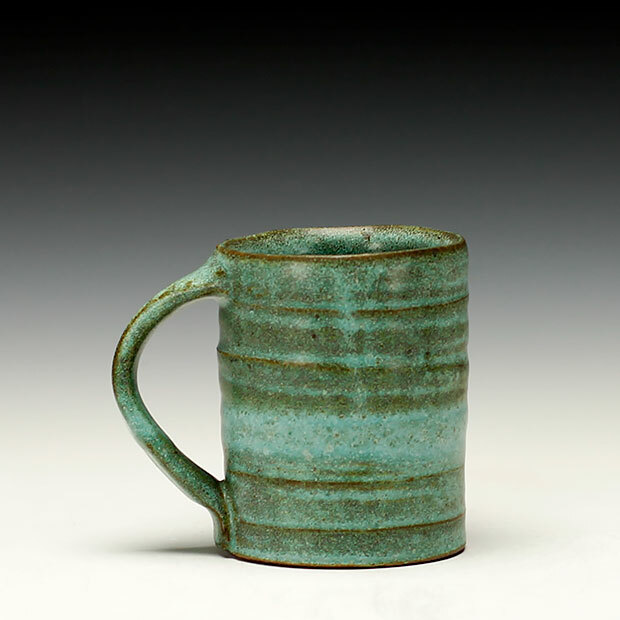 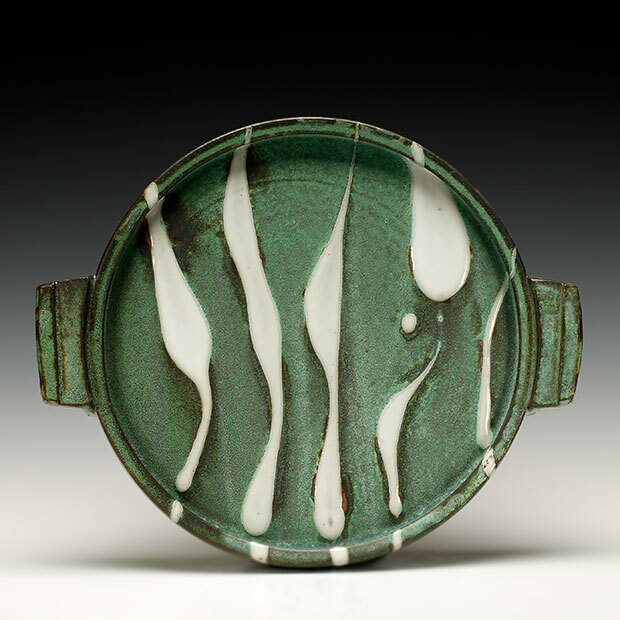 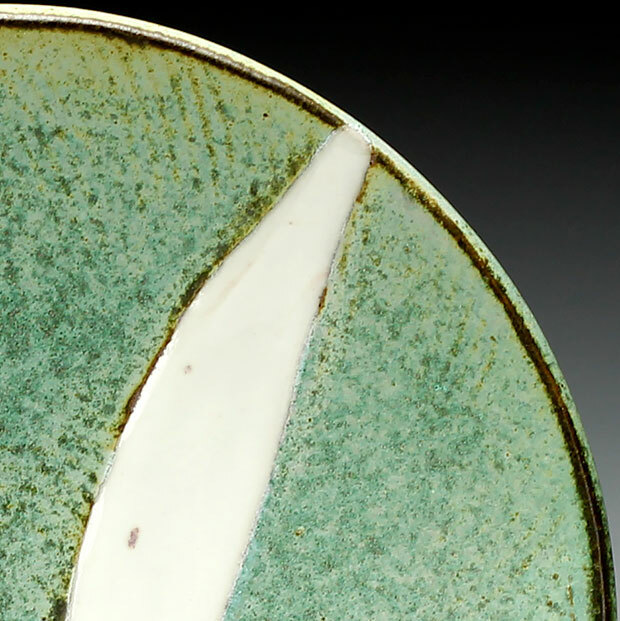 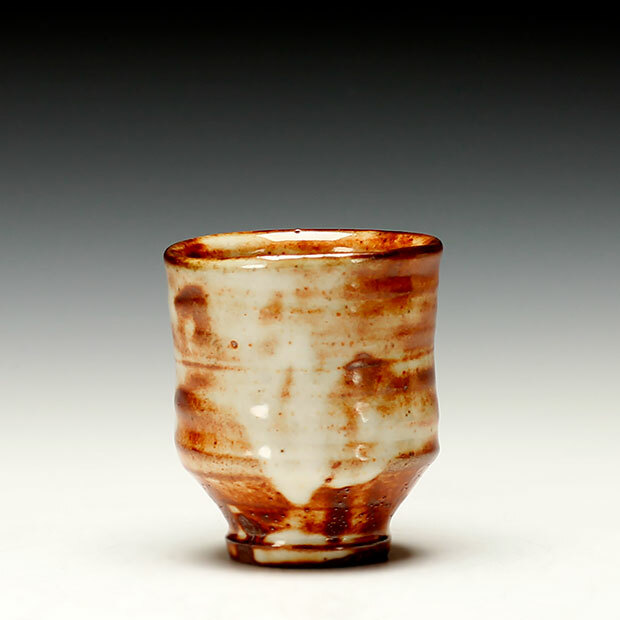 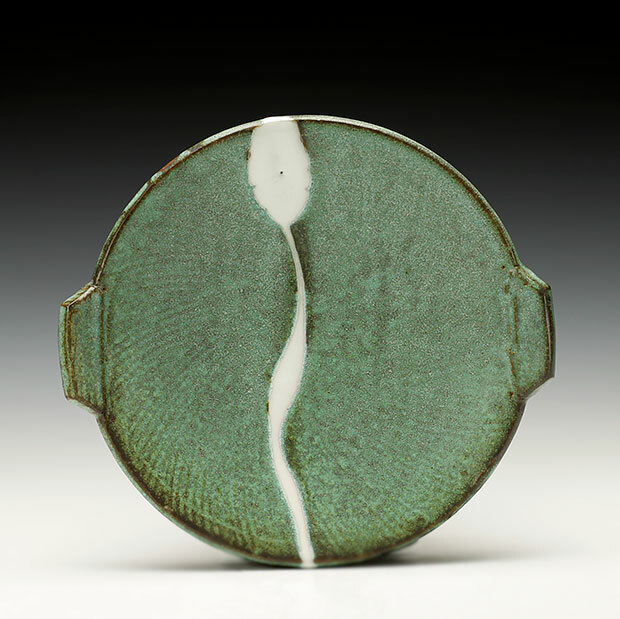 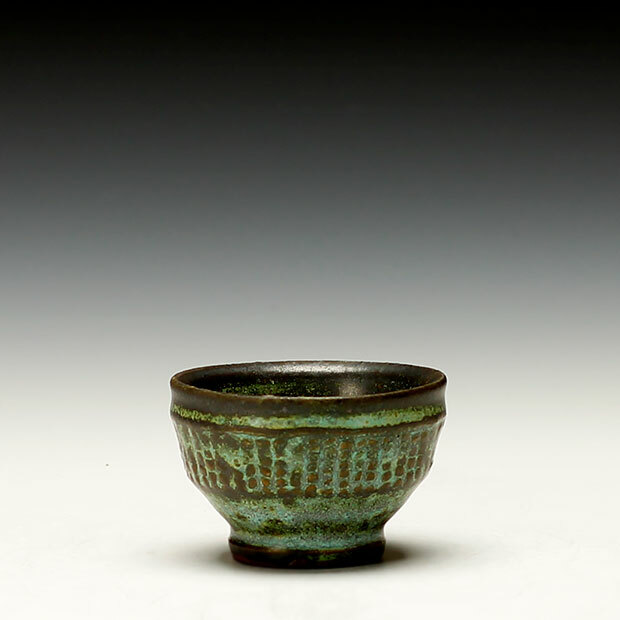 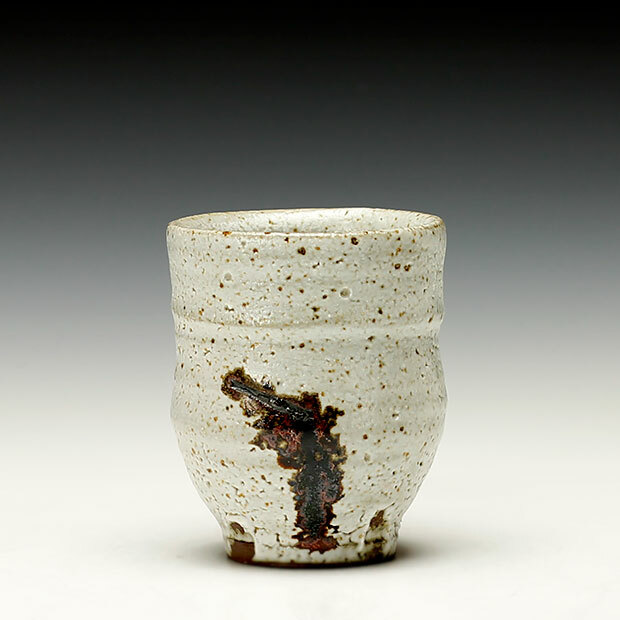 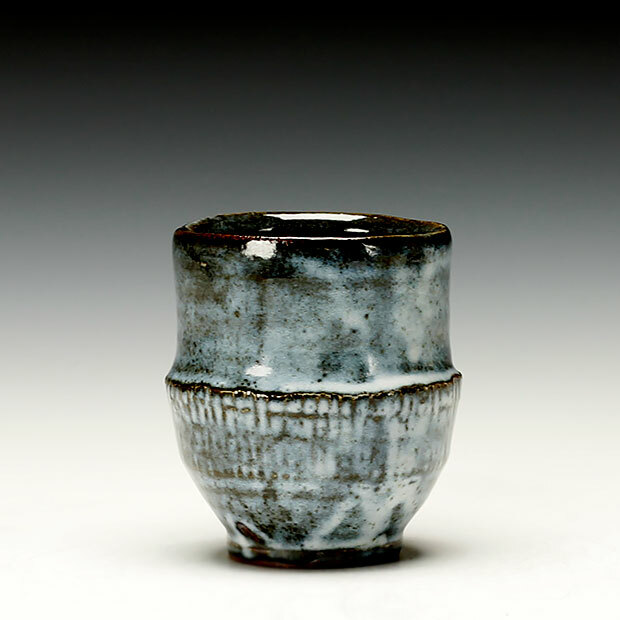 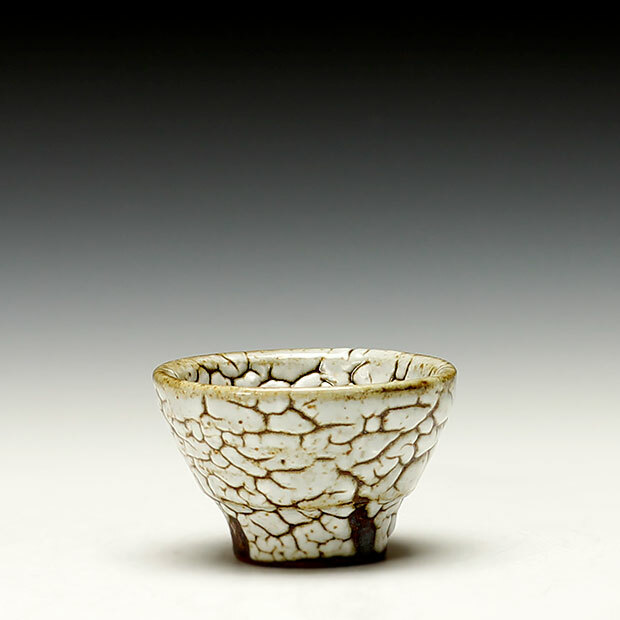 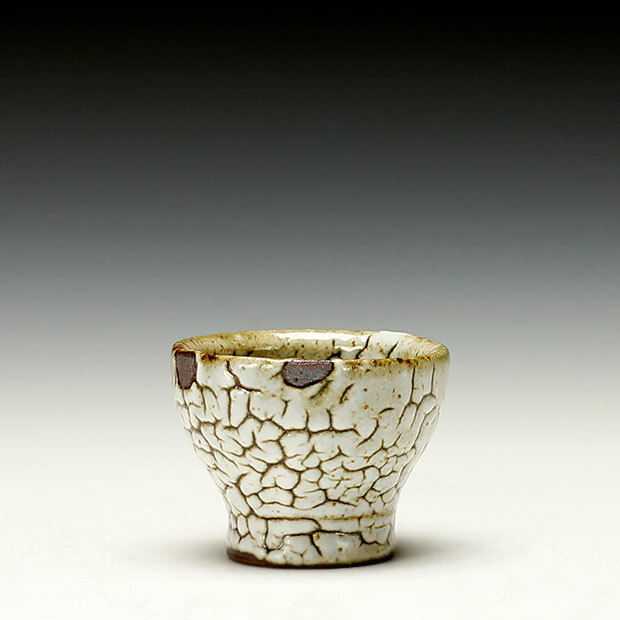 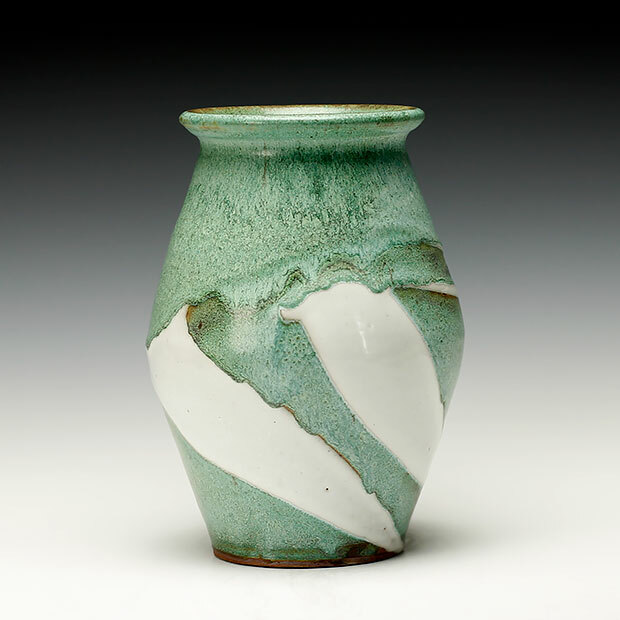 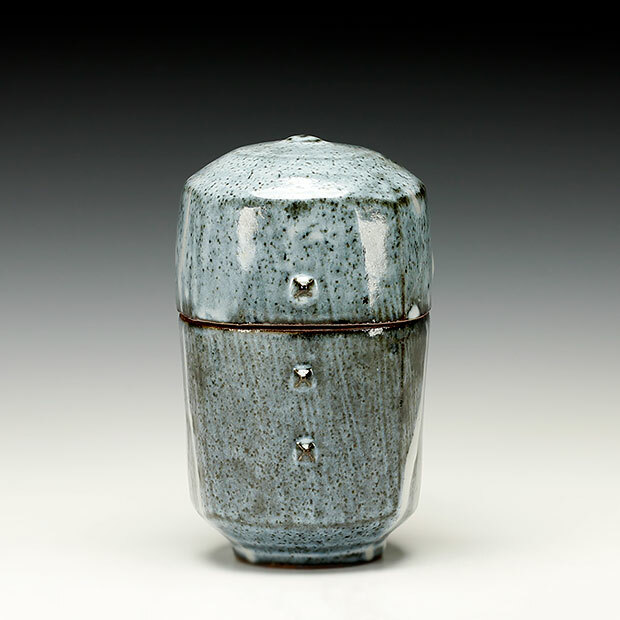 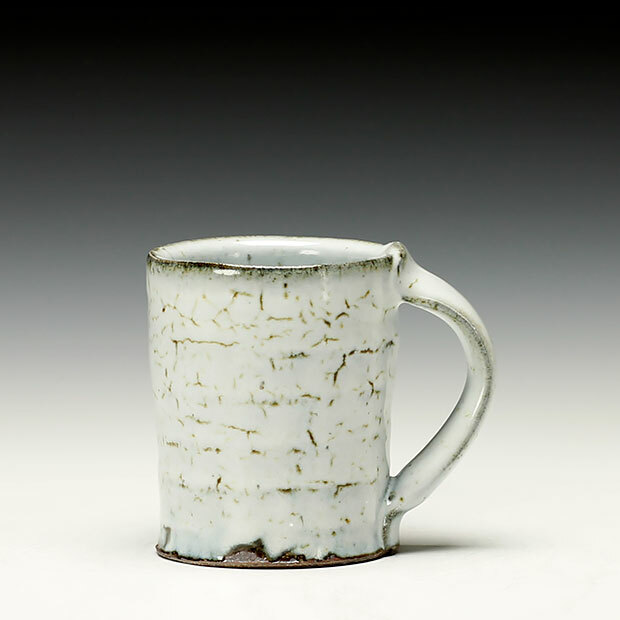 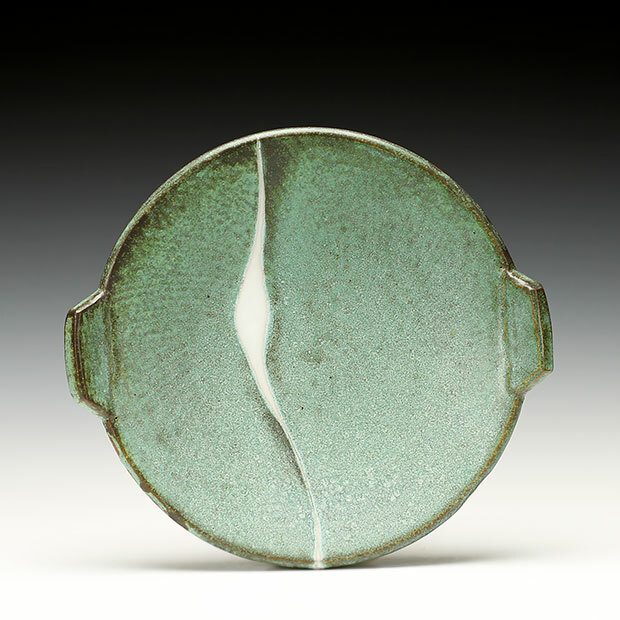 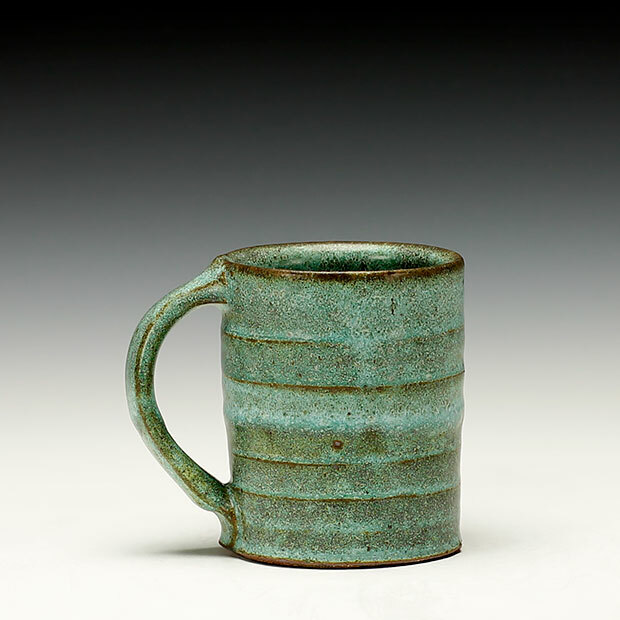 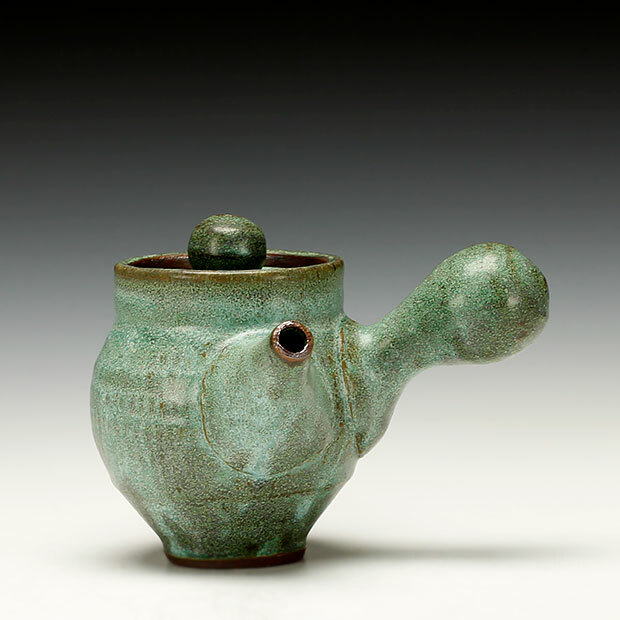 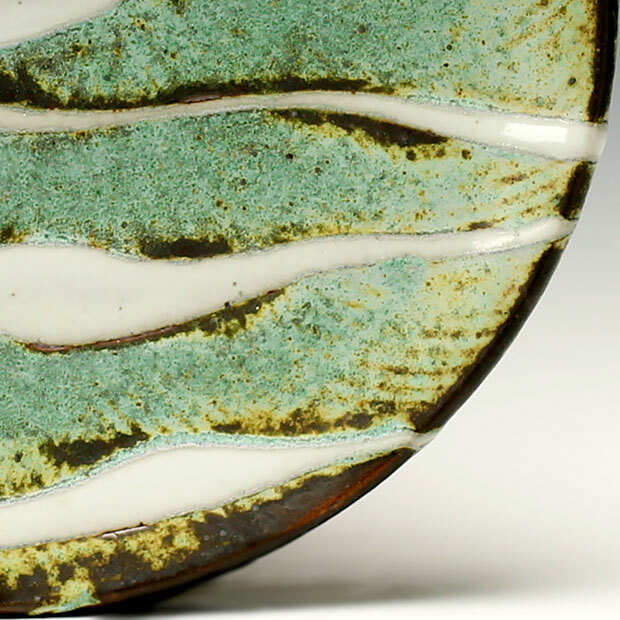 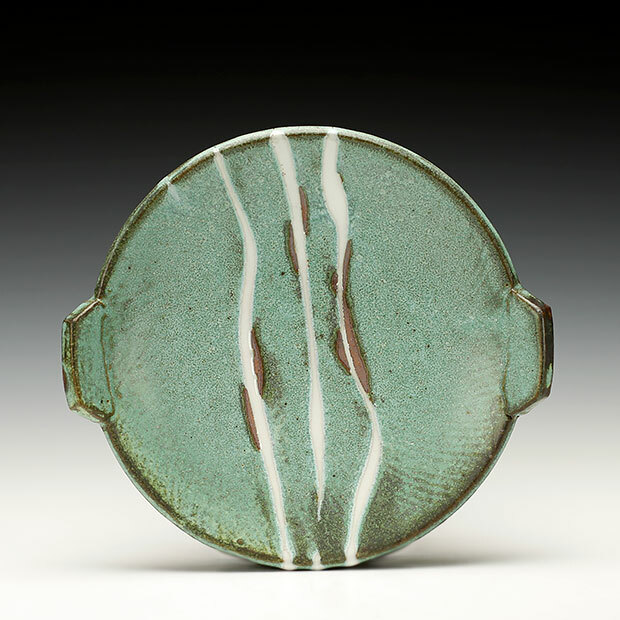 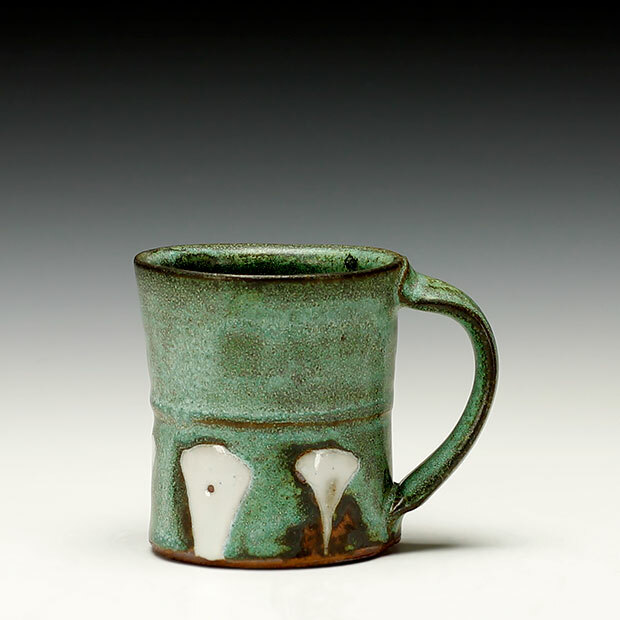 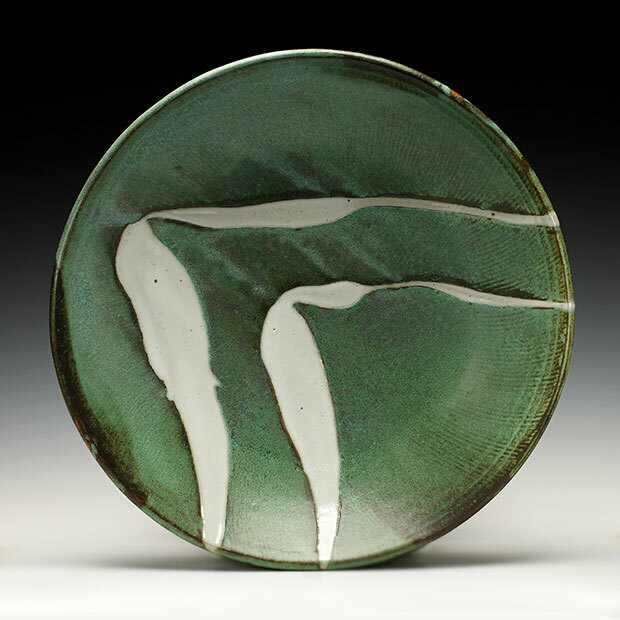 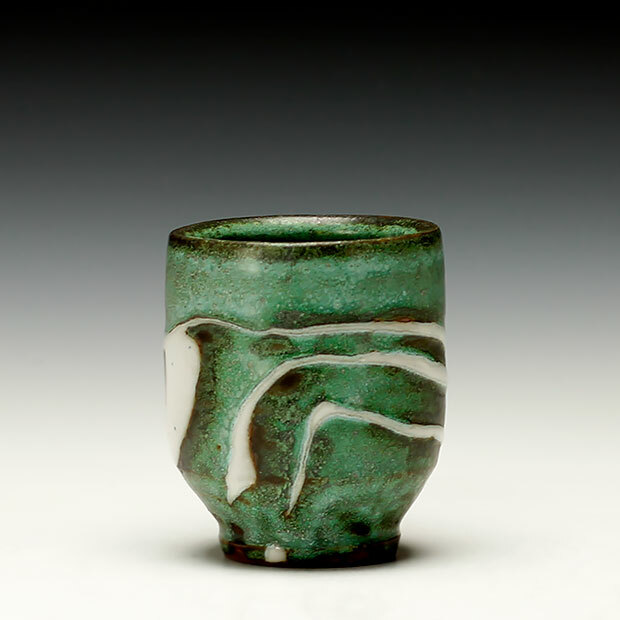 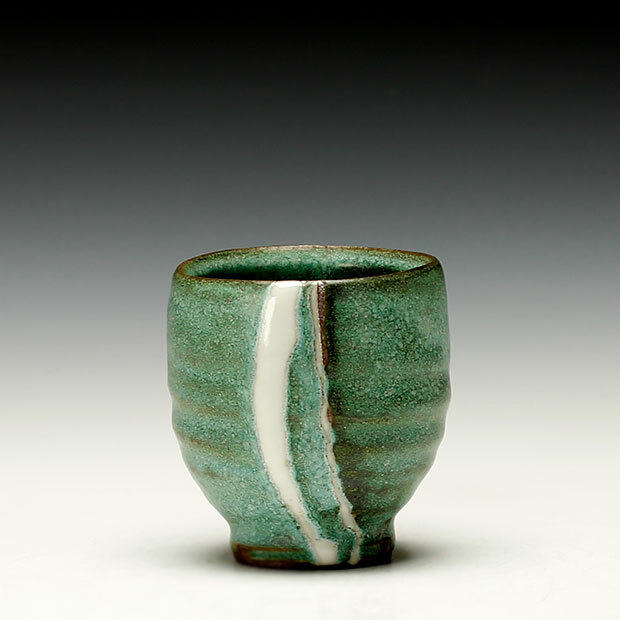 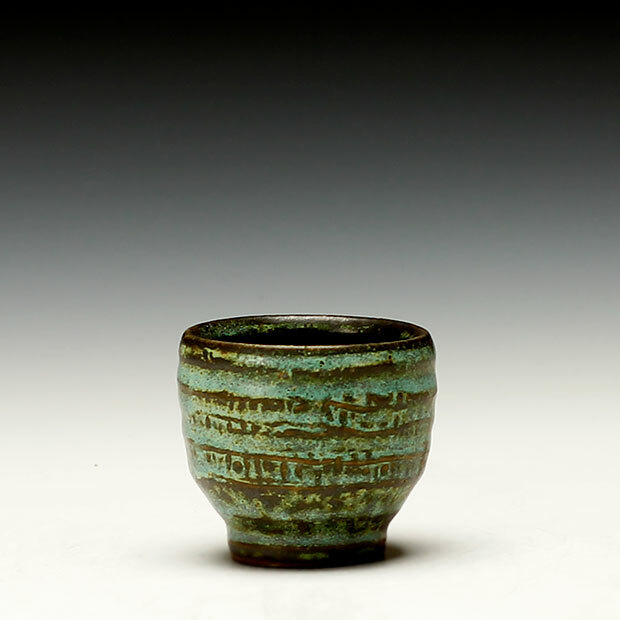 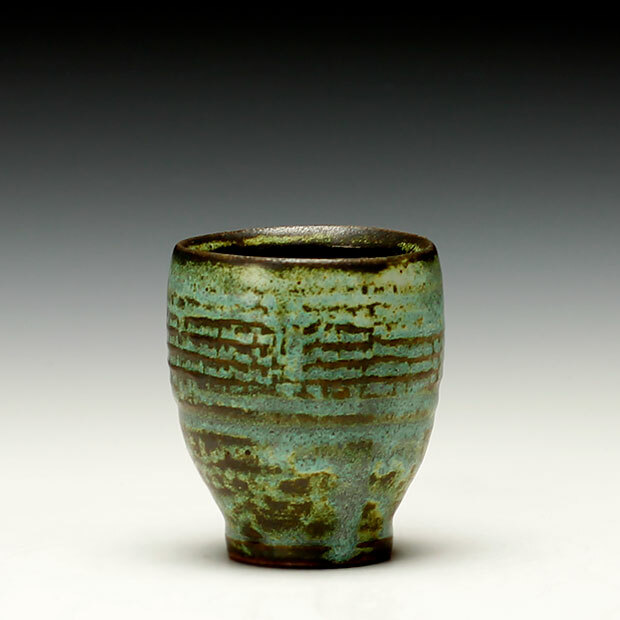 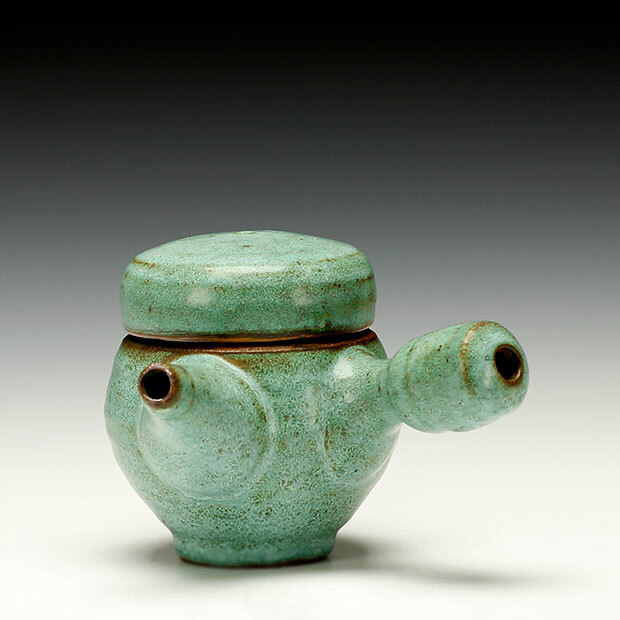 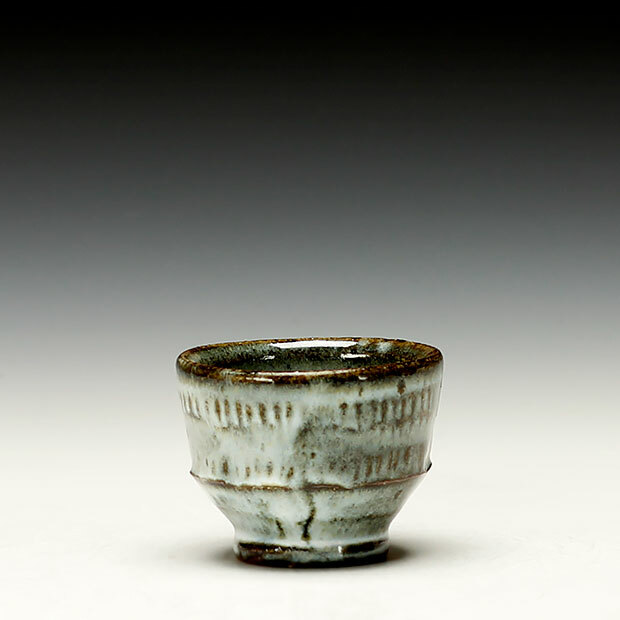 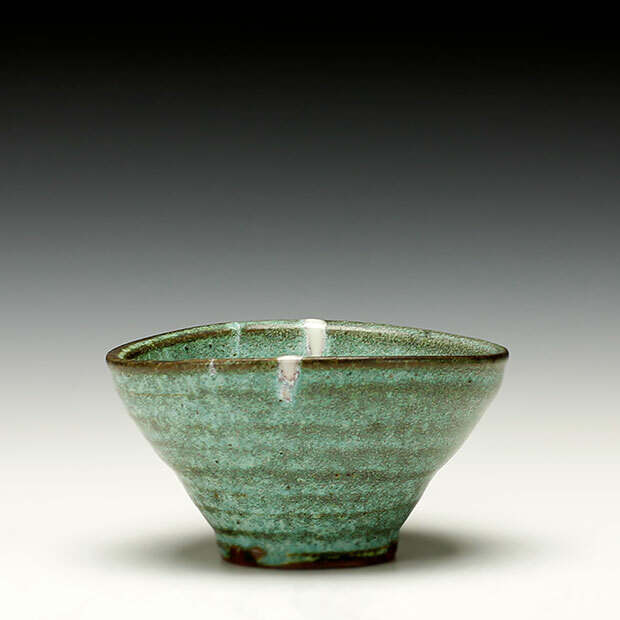 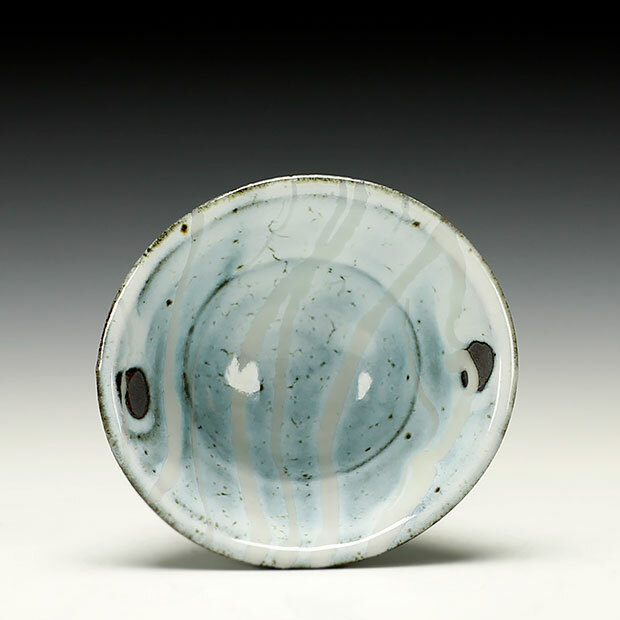 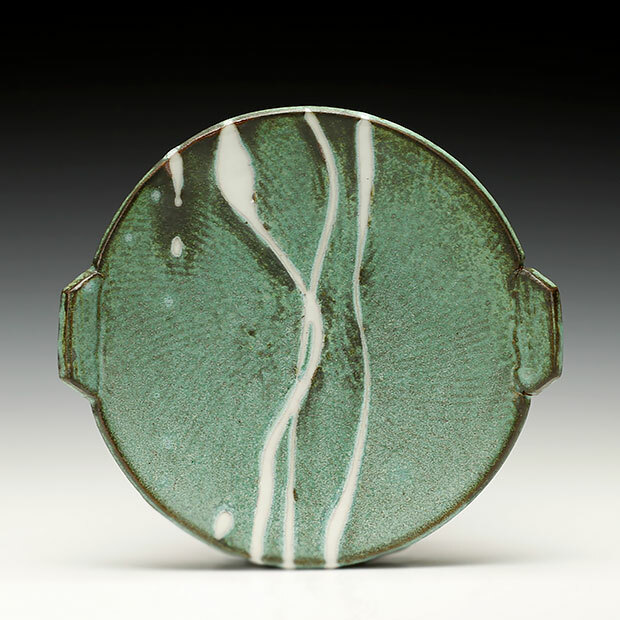 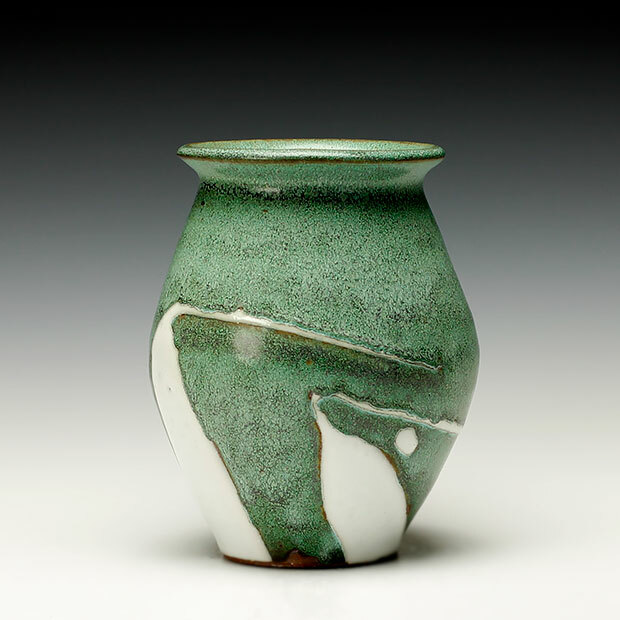 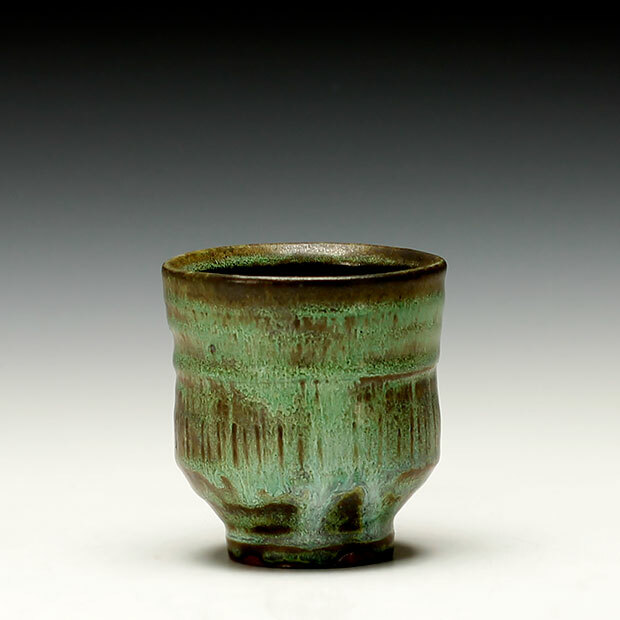 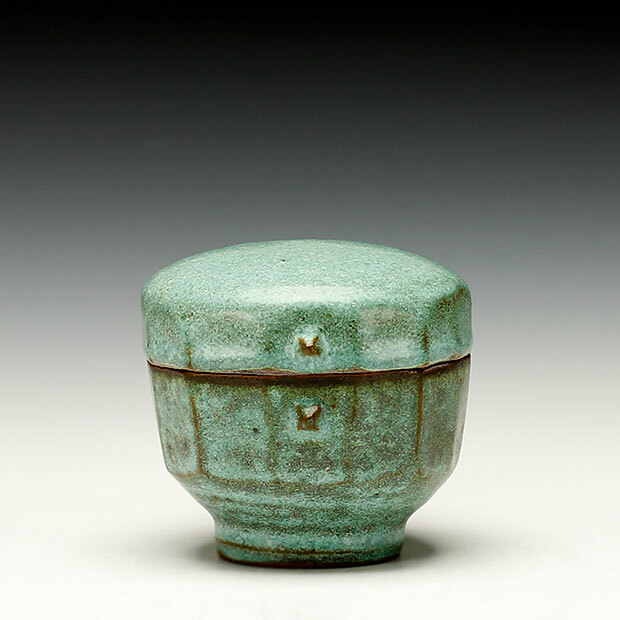 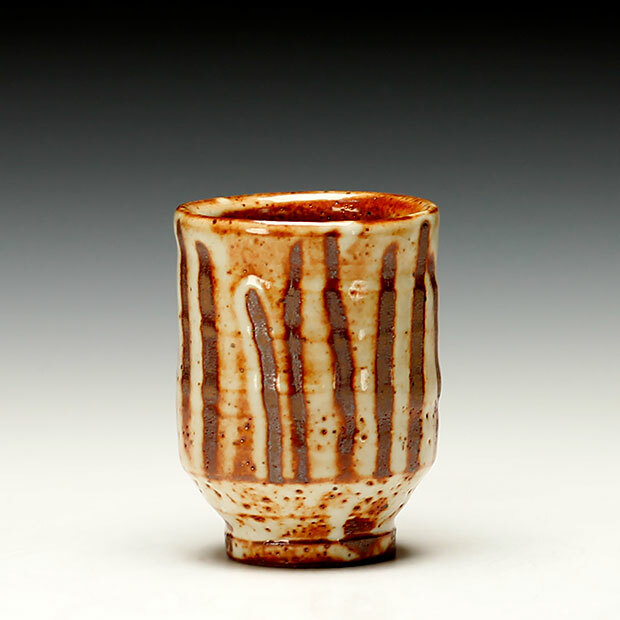 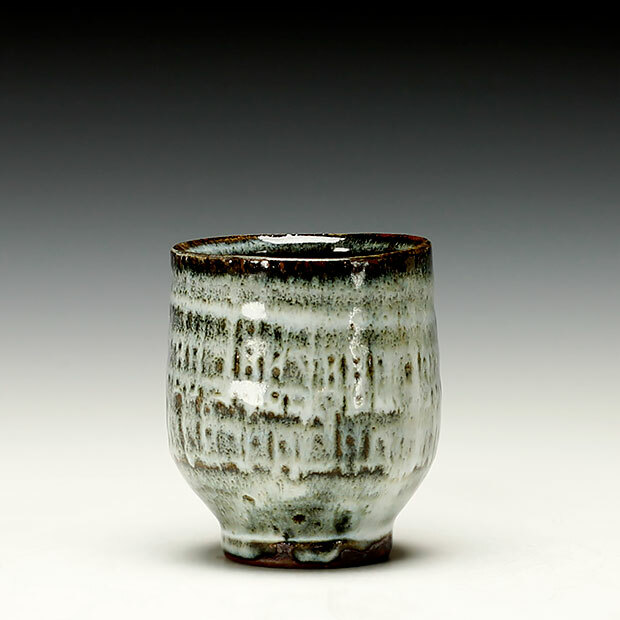 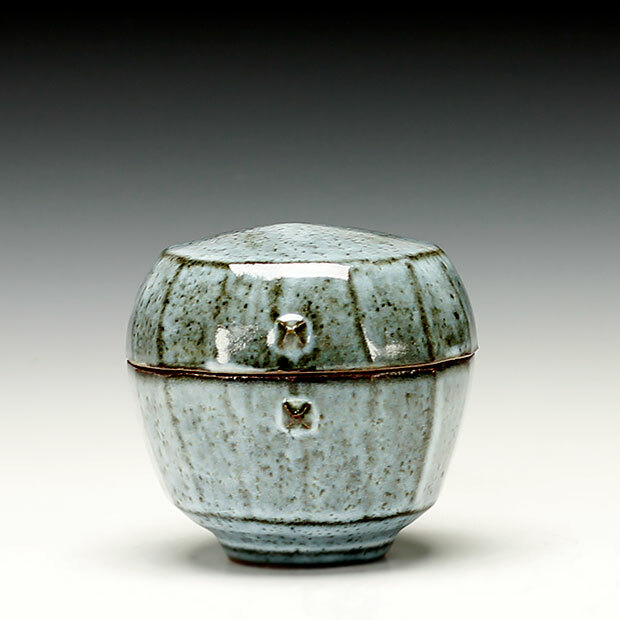 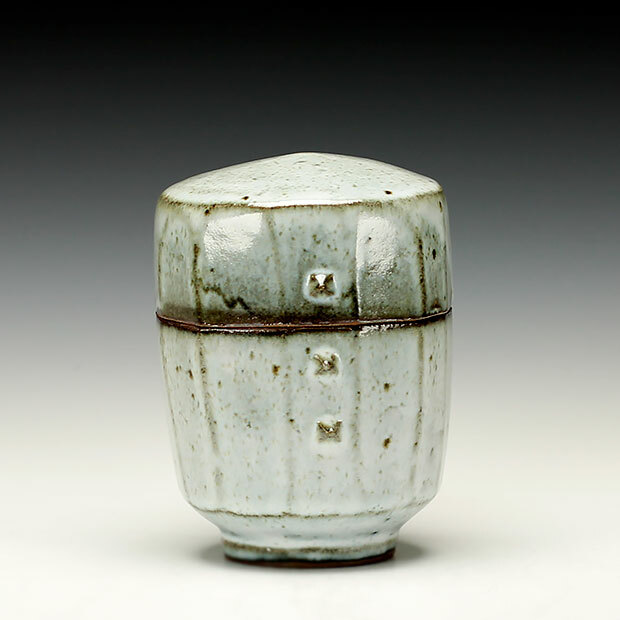 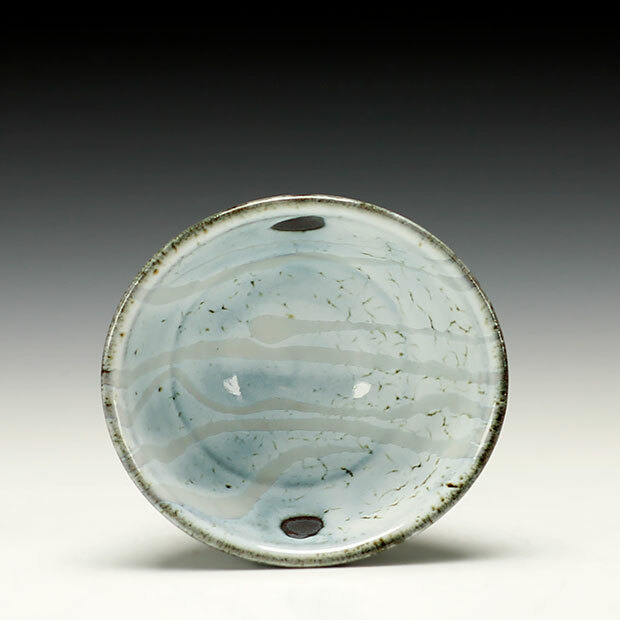 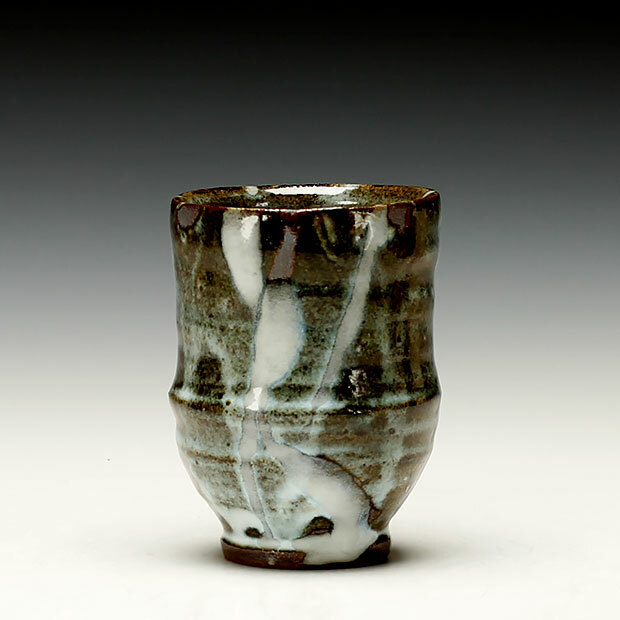 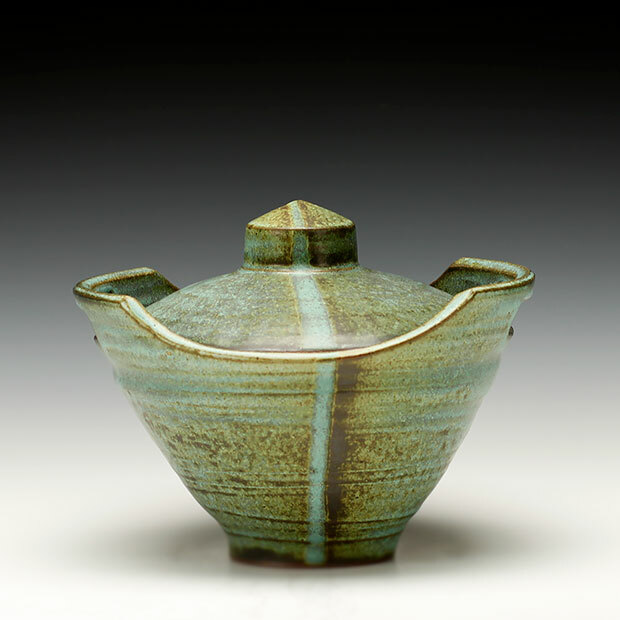 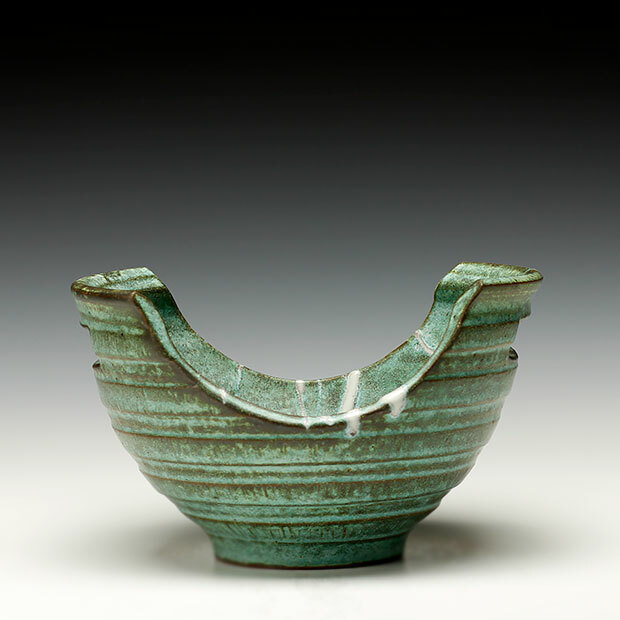 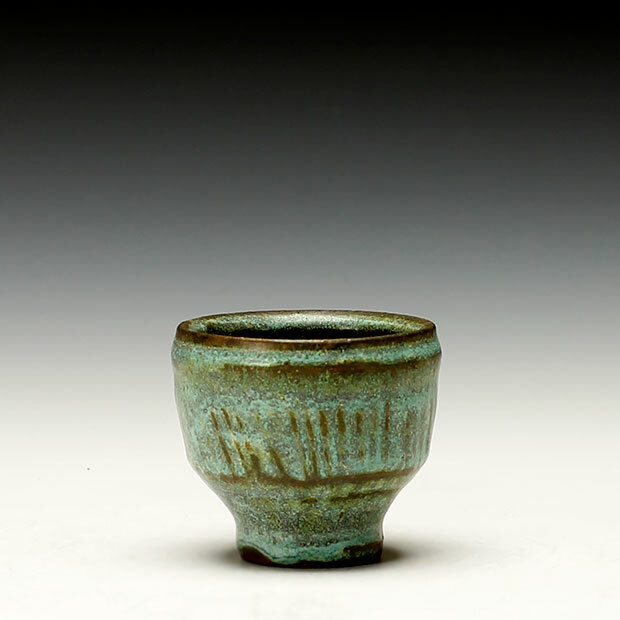 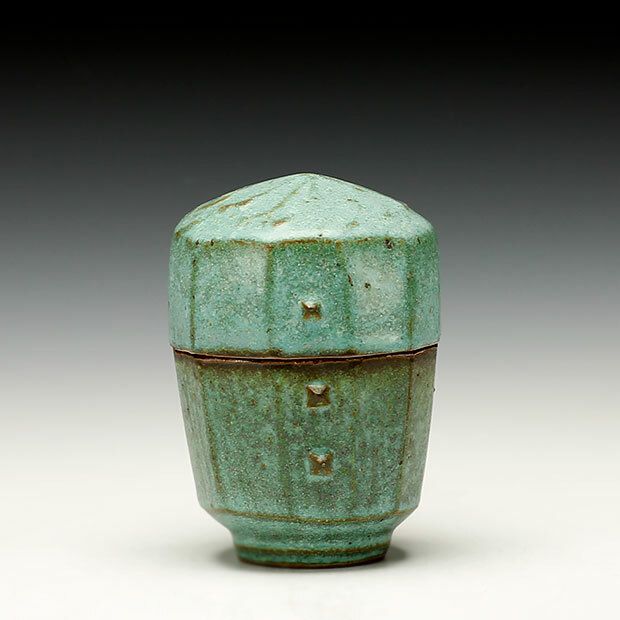 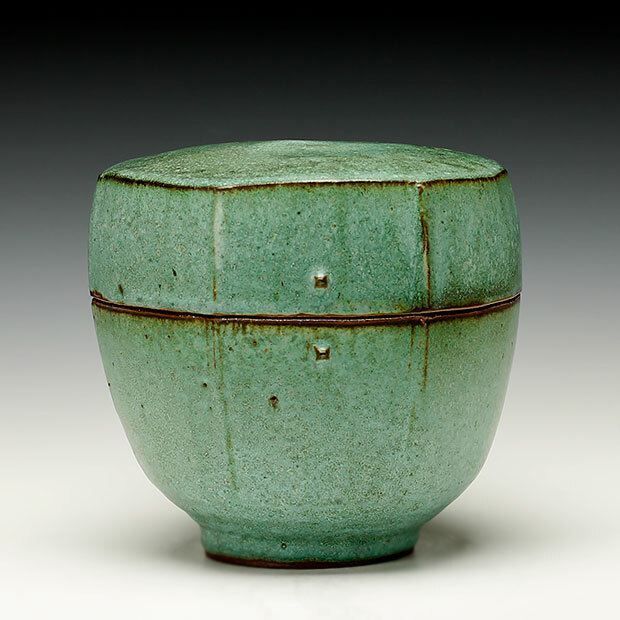 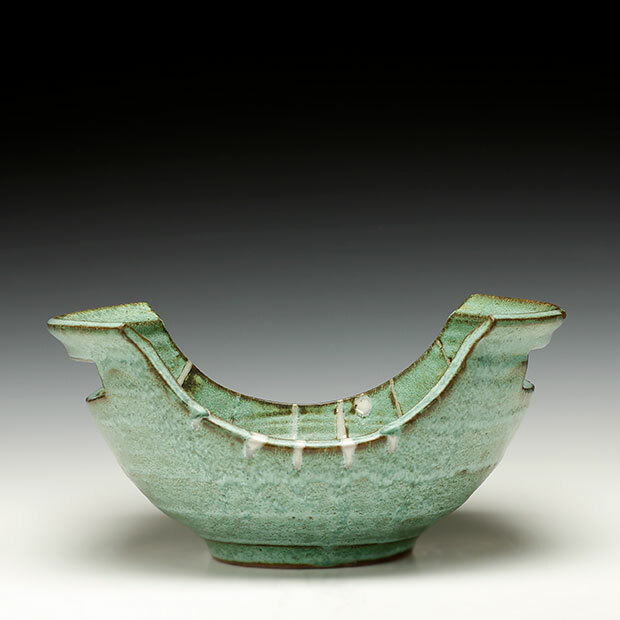 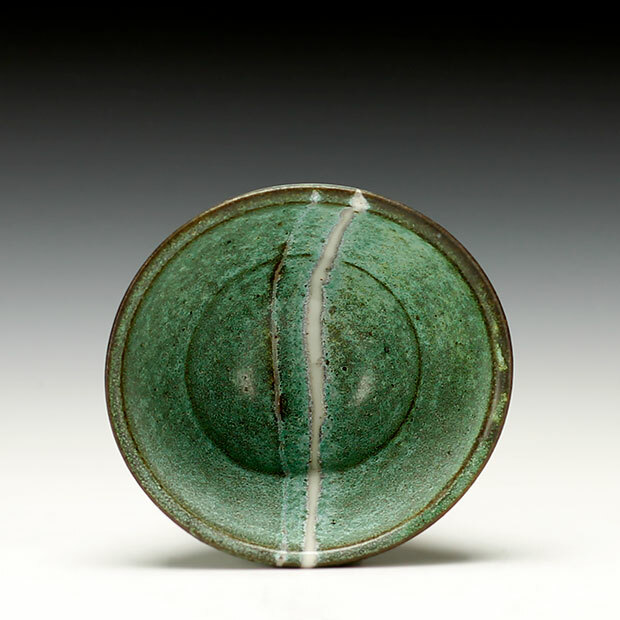 The glazes I gravitate toward are a Copper Green, Nuka made with sunflower hull ash, and several Shino variations. 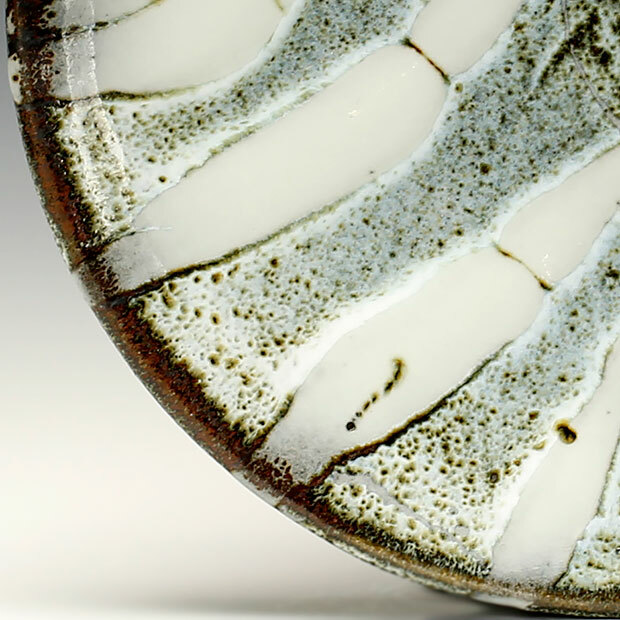 Like most potters, I am constantly mixing tests and trying new glazes, some of the latest can be seen on a few of the included pieces. 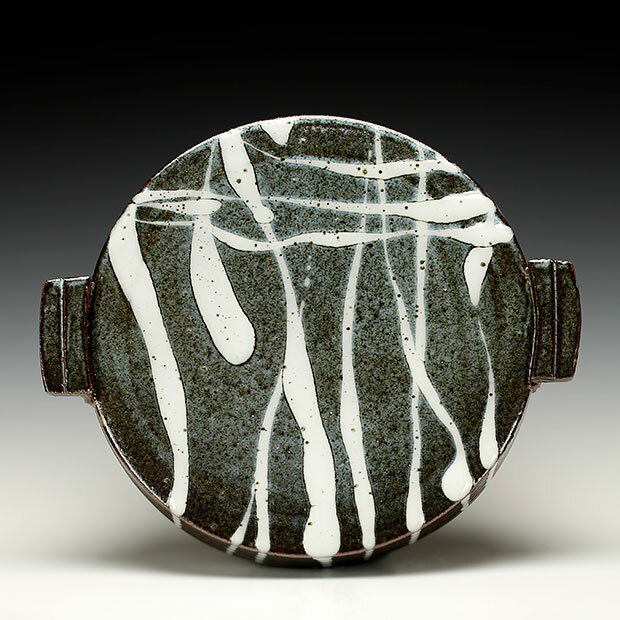 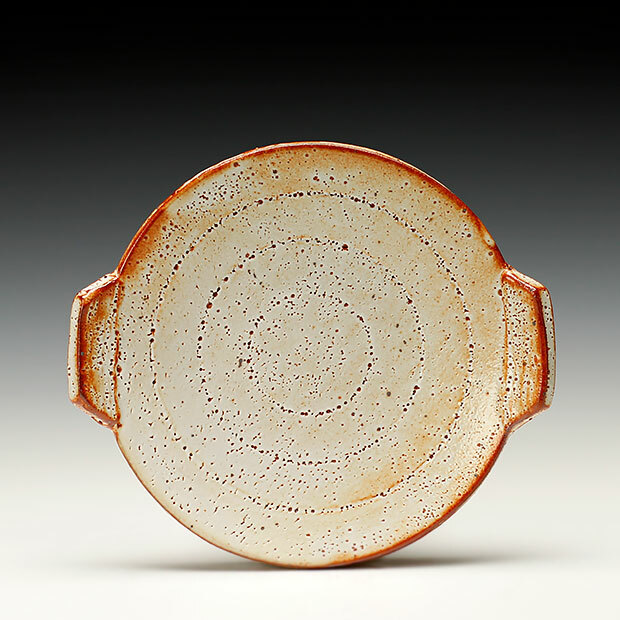 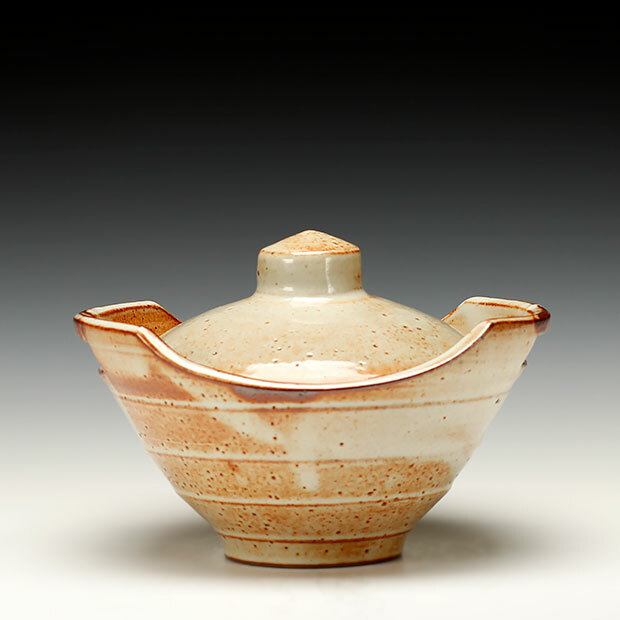 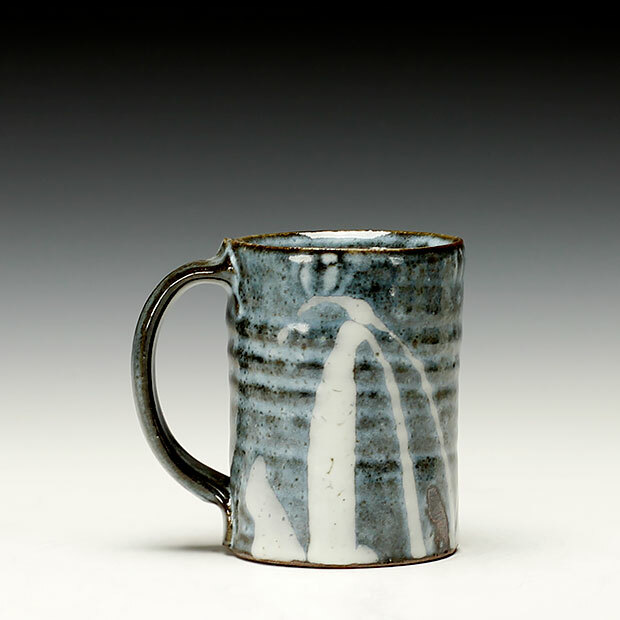 In Fall 2008 Joe headed up the ceramic program at Southern Utah University in Cedar City, Utah as Susan Harris’s sabbatical replacement. 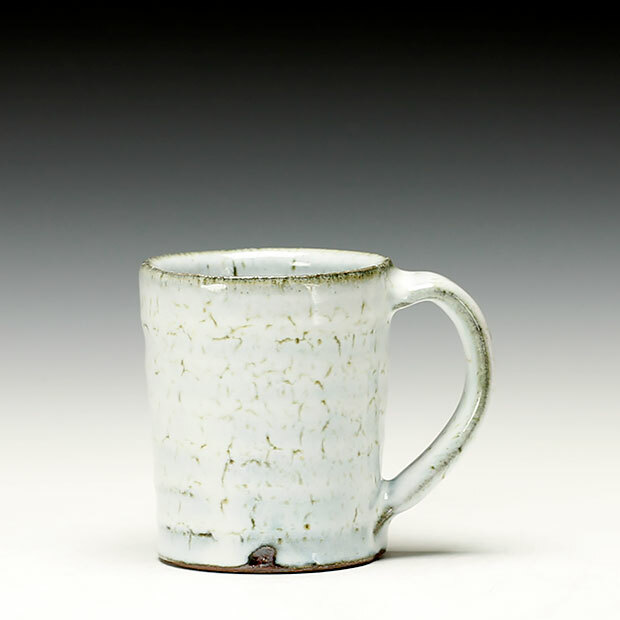 He currently lives in Cold Springs, Minnesota with his wonderful family.